Russian chain of Bubble Mania offers its clients cocktails made of clean and fresh products: each ingredient for Bubble Tea passes strict quality control on every production stage. That is why our Bubble Tea is so good, and Bubble Mania is one of the most recognizable brand on the market! 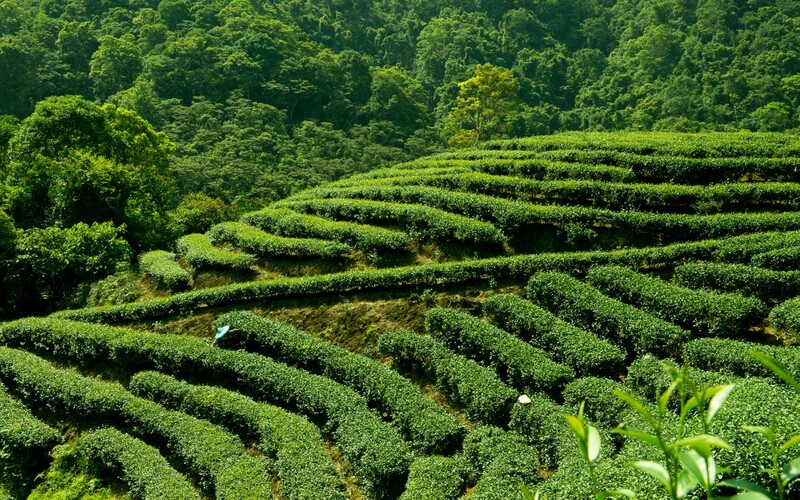 Assam Black Tea is a sort of full-leaf tea raised in the North-East of India. It has specific spicy, slightly floral scent with honey notes unusual for black tea. Assam is perfectly combined with sweet and citrus syrups. It is also great for Milk Bubble Tea. Jasmine Tea or Green Tea with Jasmine is known from the time of Song dynasty and is served as the most popular scented tea in China as jasmine flowers have subtle sweet scent. Jasmine Green Tea is great to prepare fruit Bubble Tea that goes well with all fruit syrups, and is perfect for Milk Bubble Tea. 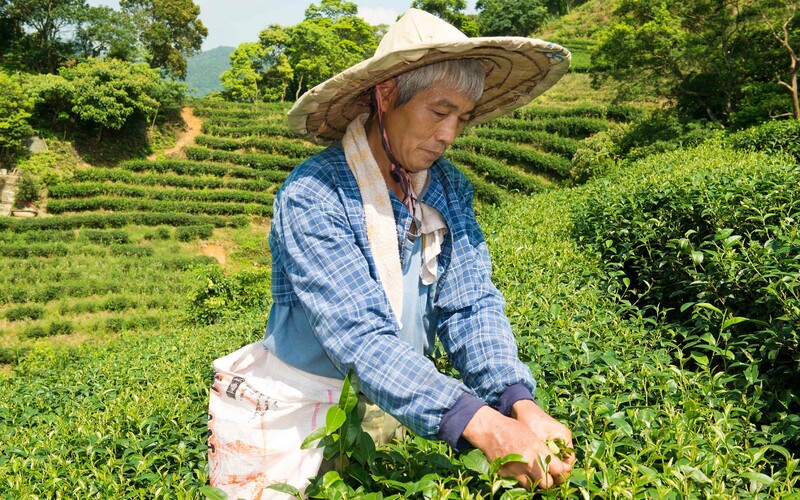 Assam Black Tea and Jasmine Green Tea are grown specially for Bubble Mania on the lots of tea plantations in Nantou County in Taiwan. 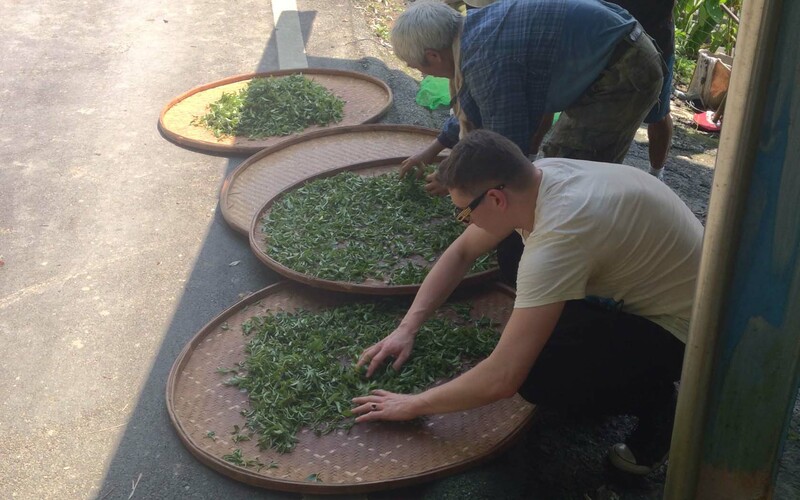 Tea plucking is conducted under close watch, only green propagules with 2-3 leaves and a bud are picked. These shoot apex are called «flush», and due to them Bubble Tea cocktails have this unforgettable scent of the real tea! Bubble Mania Fruit Syrups are exclusive product made in Taiwan for the Russian market. Not less than 25% of the total amount of syrup is fruit juice, and some of it contains pulp (bits of strawberry, kiwi, bilberry etc.). We have the widest range of syrups for Bubble Tea on the market – we offer 15 flavors. Powder blends are the basic ingredient for milk Bubble Tea. Special Creamer mix is hypoallergenic cream used for preparing milk Bubble Tea with flavor powder (like taro, coconut, almond etc.). Bubble Mania is the only Russian company offering Shake Powder – sort of cream used in milk Bubble Tea with fruit syrup. All products including powder blends for Bubble Tea are produced in Taiwan under strict control, exclusively for Bubble Mania. In total Bubble Mania offers 6 types of the fruit powder blends and 2 mixes as cocktails basis. Drink only original Bubble Tea! Popping Boba and Tapioca are natural and innovative toppings produced in the Bubble Tea homeland – Taiwan. The first one is popping bubbles made of agar-agar seaweed and consisting fresh fruit juice. Tapioca, so called Taiwan black pearl, is manioc flour pressed into small bubbles. In Bubble Mania tapioca is made with brown sugar by original Taiwan recipe, and it has incomparable taste! The first Bubble Tea was tapioca-flavored. In addition, as a topping Bubble Mania offers jelly with fruit bits: coconut-pineapple, tropic mix (coconut-orange-mango) and fresh aloe. Summing up all ingredients for Bubble Tea you can taste nearly 1500 different drinks in our chain! In Bubble Mania we use only certificated bar equipment required for preparing high-quality Bubble Tea cocktails. Equipment served for making Bubble Tea is one of the key points in the work of Bubble Mania, as it speeds up the cooking process of your favorite drink and makes it as convenient and qualitative as possible. All Bubble Mania equipment is licensed and certificated (СЕ). We always follow the innovations and keep up with the times!